Instagram might finally get the ‘regram’ button we’ve been hoping for, according to The Verge. After years of being resigned to using sketchy third-party apps or the ol’ screenshot-and-repost-with-credit method (catchy), Instagram is reportedly testing a ‘share to feed’ option. The Verge reports that, according to screenshots obtained of the new feature, it’s possible the resharing tool could be restricted to business accounts – or at the very least, these accounts will get hold of the feature first. But following the introduction of re-sharing in Stories, it’s not outside the realm of possibility that we do see a regram tool in the app’s future. Fingers crossed. According the Cheddar, Facebook will be launching its Portal video chat device next week. Anonymous tipsters reported that the device will be similar to Amazon’s Echo Show and will come in two screen sizes. The device was tipped to be launched at May’s F8 conference, but the Cambridge Analytica and Russian election scandals postponed the announcement. Portal is controlled through voice commands and features a wide-angle lens capable of recognising faces and associating them with their Facebook accounts. 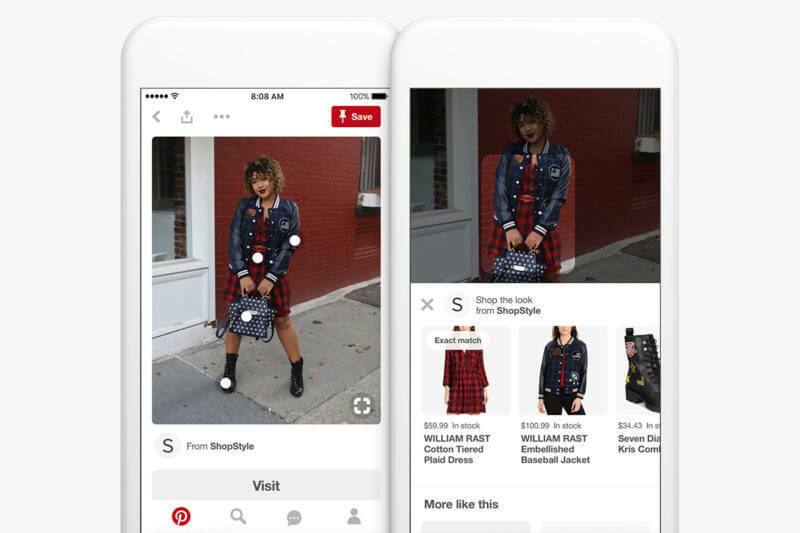 Pinterest has this week rolled out its Shop The Look Pins, previously only accessible by large businesses, to anyone with a business account. The product-tagging tool allows users to tap for more information on items pictured, with a link to click through and buy the item. Shop The Look Pins work across mobile and web, and are free for businesses to implement. In other Instagram news, the app is reportedly testing a geo-fencing feature, which will allow creators to post country-specific content. If rolled out, the feature could come in handy for brands and businesses with region-specific offerings. In a final piece of not-so-positive Instagram news: a Business Insider investigation has found that the app’s new TV service IGTV is recommending videos of what appear to be child exploitation. The investigation found that the IGTV algorithm recommends ‘disturbing and potentially illegal’ videos, resulting in some being reported to police via the NSPCC. Instagram has apologies for the videos, but did not confirm how the algorithm came to recommend certain content. Two accounts posting videos reported by Business Insider currently remain active.